QUANG BINH (VNS) — The Phong Nha - Ke Bang National Park in this central province has rescued seven civets from hunters that entered the park illegally last Tuesday. The civets included five masked palm civets (Paradoxurus hermaphroditus) and four Asian palm civets (Paradoxurus hermaphroditus). While the masked palm civets are listed as a threatened species by the International Union of Conservation for Nature's red list, the Asian palm civets are listed in the least concern category. Early Tuesday morning the park's forest rangers discovered the illegal entry of hunters inside the park. Cages containing civets were found after rangers chased the hunters. 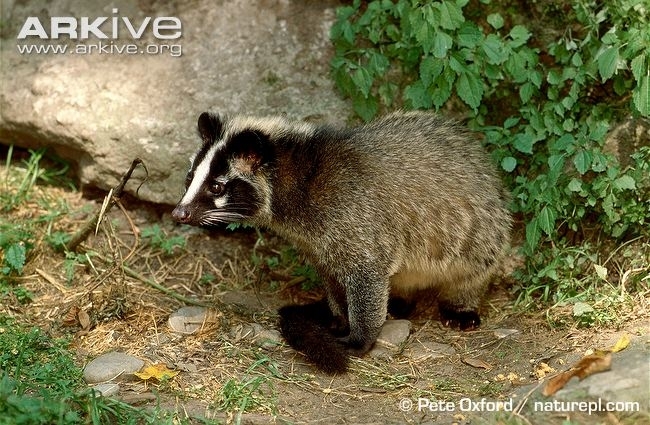 Two of five masked palm civets died due to the hunters' actions. The park's veterinary staff is taking care of the civets before releasing them back into the wild. Last week, the park received 40 red-breasted parakeets rescued by local traffic police from a passenger bus. The bus was travelling from central Quang Ngai through the province's Dong Hoi City. The bus driver admitted to the police that the birds were to be sold as pets in Ha Noi.